ROYAL Caribbean Cruises has seen a significant increase in bookings from the Middle East for its three global brands - Royal Caribbean International, Celebrity Cruises and Azamara Club Cruises. From January through to July 2010 numbers were up 63 per cent on the same period last year. The average duration of cruises taken by regional guests is nine nights and the most popular destinations are the Mediterranean and Caribbean, with recent interest in cruises throughout the Middle East. 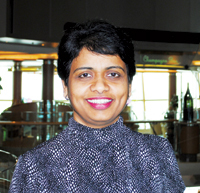 Lakshmi Durai, executive director - Royal Caribbean, Celebrity and Azamara Club Cruises Middle East said: “We’re absolutely thrilled with the tremendous growth of the cruise market in the Middle East and there is still a huge potential. Celebrity Cruises offers premium cruising and is investing $3.7-billion in building five stylish solstice-class ships between 2008-2012 which represents the largest five-year investment in premium cruising. All this reflects the increasing global interest in cruising, with the introduction of new, larger ships and a greater diversity of destinations and on-board activities. According to Cruise Market Watch, the cruising industry carried 17.3 million passengers worldwide in 2009, a figure expected to be surpassed this year. Buoyed by the addition of the world’s largest cruise ship, Oasis of the Seas, Royal Caribbean Cruises has raised its full-year profit forecast. For the year’s second quarter, the company reported an increase of net income to $60.5 million. Full Year 2010 net yields are expected to improve approximately four to five per cent on a constant currency basis.